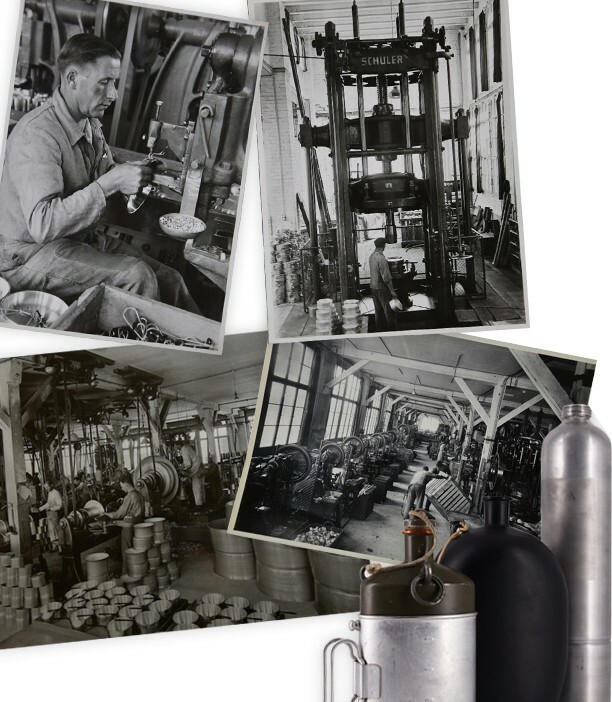 The history of SIGG Switzerland Bottles AG begins in 1908: Ferdinand Sigg, a metal working specialist, returned to Switzerland after years of learning and travelling. Together with his friend Xaver Küng, he established an aluminium goods factory in Biel. Sigg and Küng are united in their love for metal and their belief that aluminium is the material of the future. Their success proves them right: Just one year after the production begins, Küng, Sigg & Cie employ 30 people. 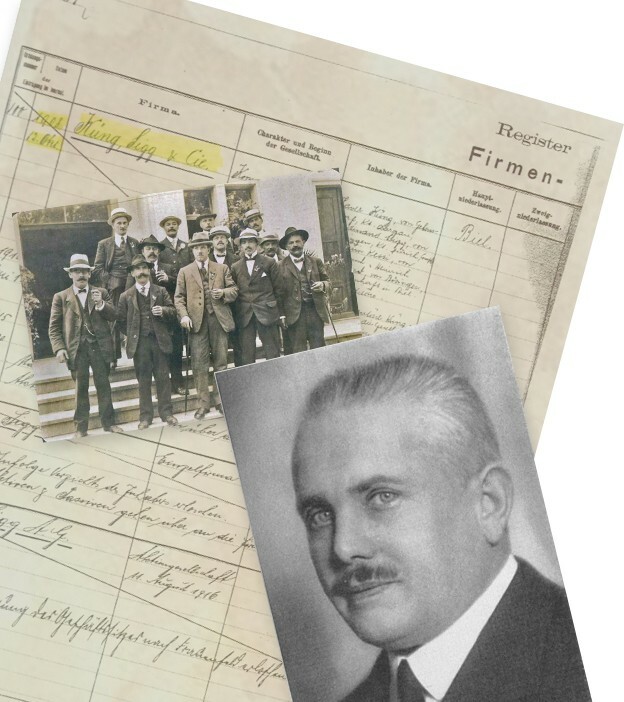 Shortly before the company moves to Frauenfeld in 1917, Xaver Küng leaves the company. It is renamed to SIGG AG Aluminiumwarenfabrik. The company retained its name even when - after years of expansion and prosperity - it is taken over by the the main supplier in 1936. Right from the start, SIGG sells a wide range of pans, pots, teacups, cutlery and household products including bed and water bottles. Over time, the company has repeatedly succeeded in conquering new markets with new ideas. In 1958, the range includes well over 10 000 products! 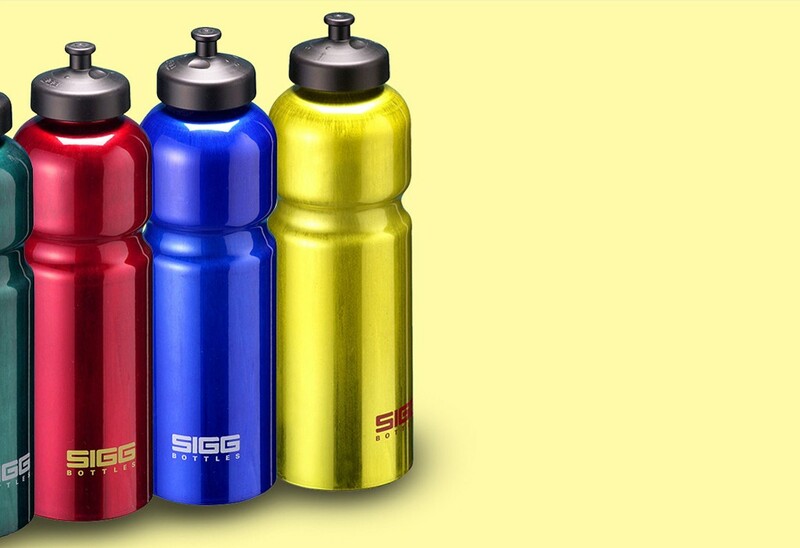 The SIGG bottle is added to the range of household products by coincidence. While producing pots and pans, a great deal of aluminium is left over as waste. During the resource-scarce war years, a new meaningful use for valuable raw material is sought and found: SIGG develops a bottle! 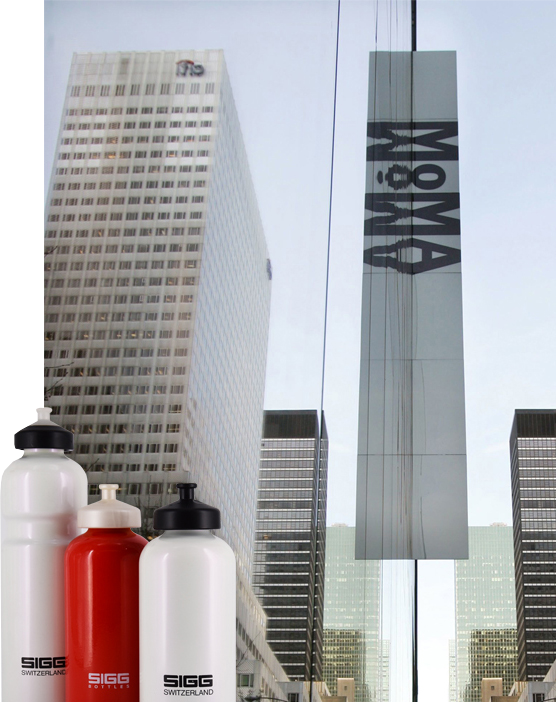 Design becomes an important aspect of all SIGG products. The product assortment is reduced. Over the following years, SIGG-employed designers start to construct classic objects such as the Traveller screw top, iconic cookware lines and well-known household appliances. Behind today’s well-known SIGG Traveller bottle is a different story than one might expect: the ancestor is not a beverage bottle from the 1920’s, but a bed bottle from 1961. The bed bottles' shape is reflected in the classic SIGG drinking bottle and is still considered the epitome of a reusable aluminium drinking bottle. 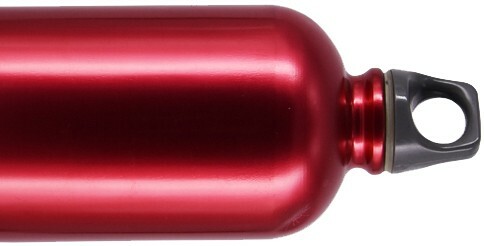 At the same time, the first single-colour coated drinking bottles are produced. New products are developed at the beginning of the 90's such as the 0.75L aluminium sports bottle along with the innovative three-stage sports top. At the same time, SIGG launches multi-coloured kids bottles and traveller bottles and thereby finds a way to cater to trend-needs in the years to come! The "Original Swiss Bottle" is also an example of world-renowned design and manufacturing performance. Highest recognition is rewarded with the introduction into the prestigious Museum of Modern Art (MoMA) in New York City in 1993. 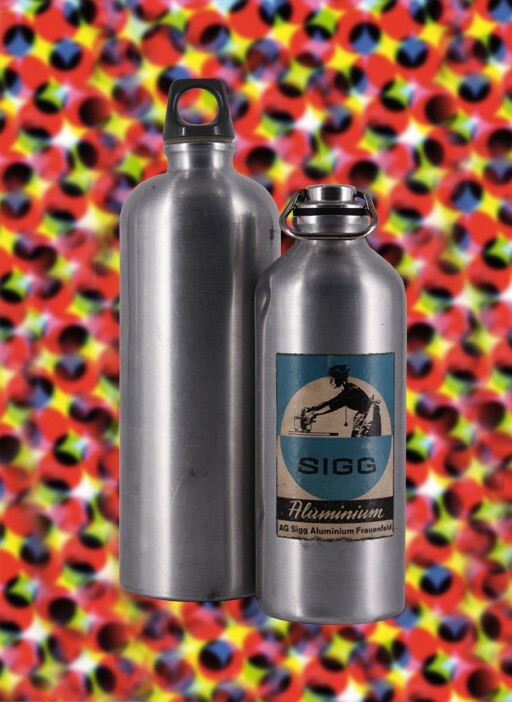 In the same year, SIGG produces its first design collection and transforms an already functional product into a coveted fashion accessory and collectors' item. After an investor group had taken over SIGG Switzerland AG, the company realigns its focus and product range to prepare for the future. As the world market leader in aluminium drinking bottles, SIGG wants to further expand the position. With this goal in mind, it is being decided to put the focus of production and business on the bottles. SIGG moves to a new building in 2004. 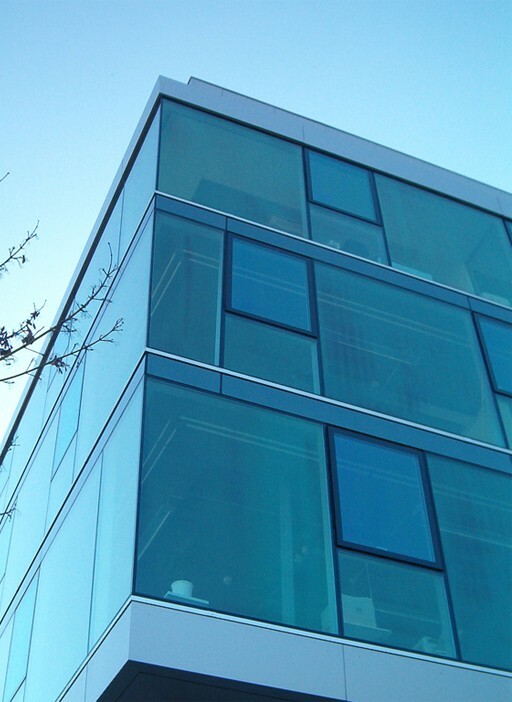 The new office and warehousebuilding reflects the pioneering spirit and dynamics of SIGG: the building façade is made of aluminium and the environment is made of the mineral stone bauxite – the raw material for pure aluminium. SIGG celebrates its 100th anniversary with a market presence in over 40 countries and as the market leader in the aluminium drinking bottle segment. 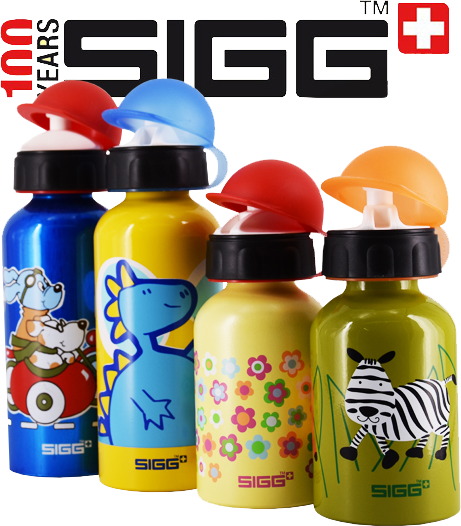 In the same year SIGG expands its production facilities and introduces a new Kids Bottle Top. In February 2016, SIGG is acquired by the stainless steel vacuum bottle manufacturer HAERS, China. With its access to the fast growing Chinese market and its know-how in stainless steel, polypropylene and tritan products, the new parent company is the ideal partner. Aluminium bottles continue to be manufactured at SIGG's headquarters in Frauenfeld, Switzerland.